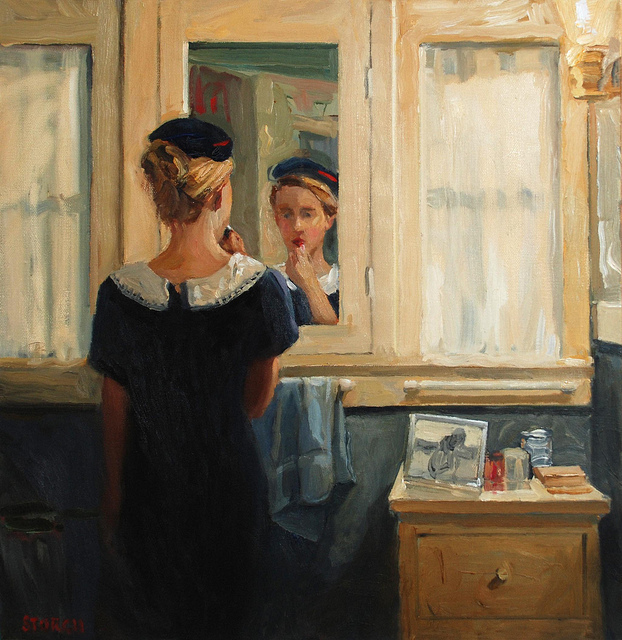 When it comes to contemporary American artist Sally Storch's work, I can't be sensible - I love her paintings. 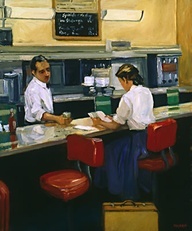 Yes, her style is similar to Edward Hopper's more famous body of work - they both operate in the same world of solitary and often lonely moments in time. 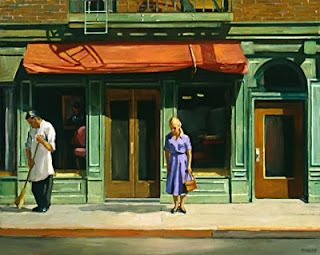 But in my view, there's an aggressiveness in Hopper's work that is not on view in Sally Storch's equally moving paintings. 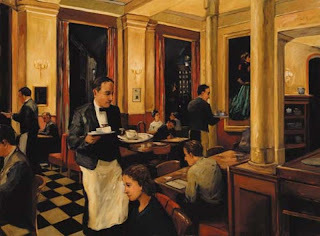 Storch's work also has a haunting romanticsm which Hopper's work only occasionally manages. 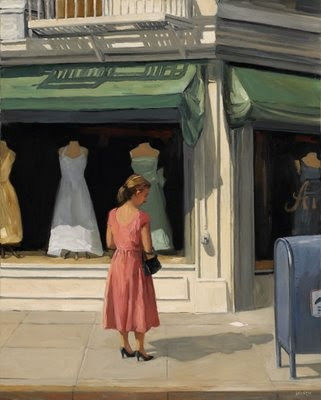 Don't get me wrong, I love Hopper's work, but I also love Sally Storch's. 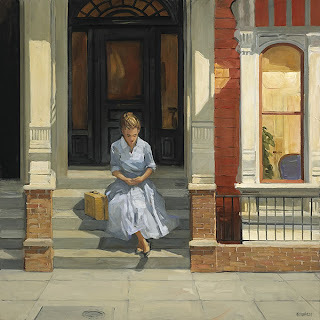 Since I'm not and don't claim to be an art historian or critic (I'm just a fan), please use this link to a short bio of Sally Storch and more info on her expressive style. Edward Hopper's work, as you may perhaps surmise, is well known to us. 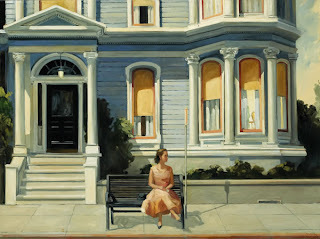 Sally Storch's not at all. So how wonderful that you have introduced us to an artist whose work, for us too, has instant appeal and which, without this post, we may possibly have never come across. We shall certainly follow the link. Thanks for introducing us to Sally Storch, Yvette. I'm always impressed by artists who successfully convey light and shadow, and she's certainly great at that. 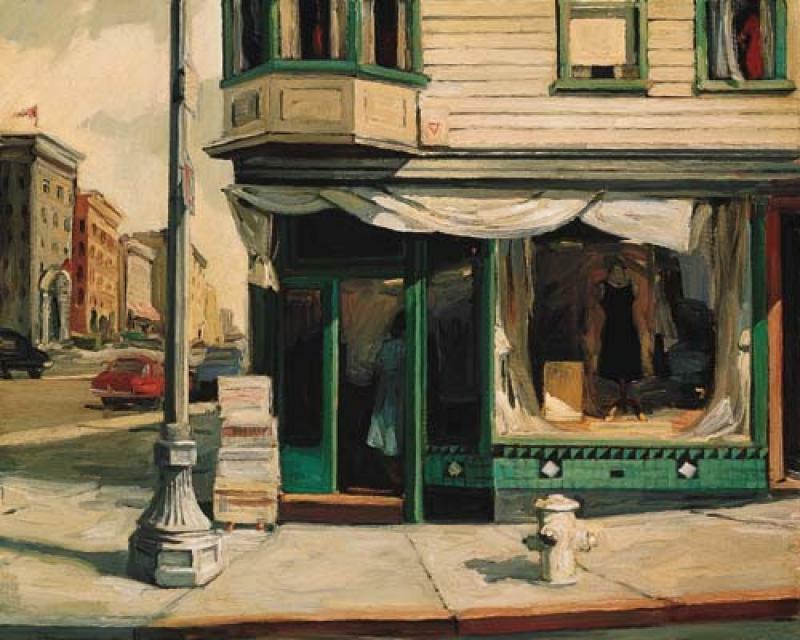 "Storch's work also have a haunting romanticsm which Hopper's work only occasionally manages." Astute observation. 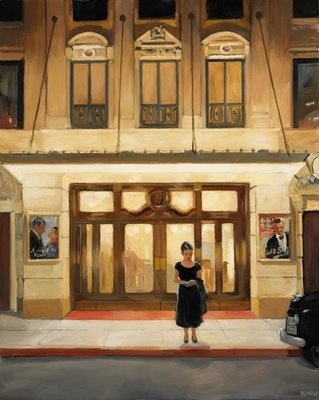 Love her work. Thanks for a lovely introduction and link. 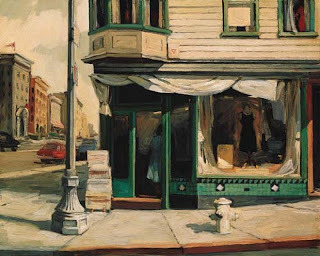 I discovered Storch's work by sheer chance and I'm happy to share the good news. Better news: she's still alive and working. Can't wait to see what she comes up with next. You're welcome, Mark. It's always exciting for me to find a contemporary artist who is still doing representational work in such a distinct way. Thanks Jacqueline, and you're most welcome. So happy you enjoyed this post. 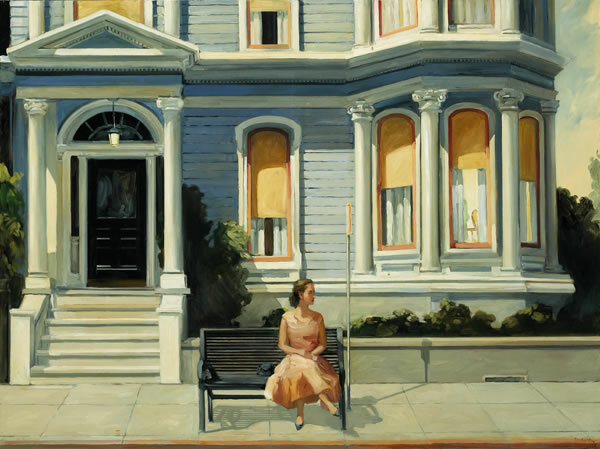 Sally Storch is a definite keeper, that's for sure. I wish I could afford one of the limited, signed copies. But maybe I can find a poster or something. I love them all! Never heard of her before. Thanks for sharing! 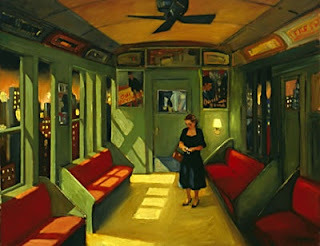 Love these, especially the solitary woman. I remember when you posted a collection of paintings of women and you included some of Sally Storch's. 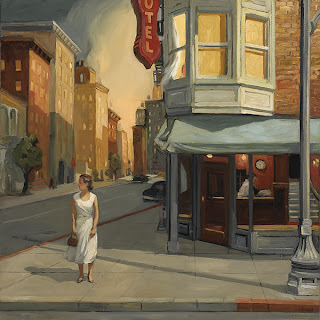 I'm a big fan of Hopper's, so when I saw Sally Storch's paintings on your post, I thought 'Hmm, VERY Edward Hopper.' But, you're right: they are obviously similar but subtly different. I like them very much. Thanks for the introduction. Kathy, I may have. If I do a round-up with a theme, anything's possible. Maybe women reading? Can't remember. You're welcome, Joan. Yes, the similarity is obvious, but then you have to take a second look. 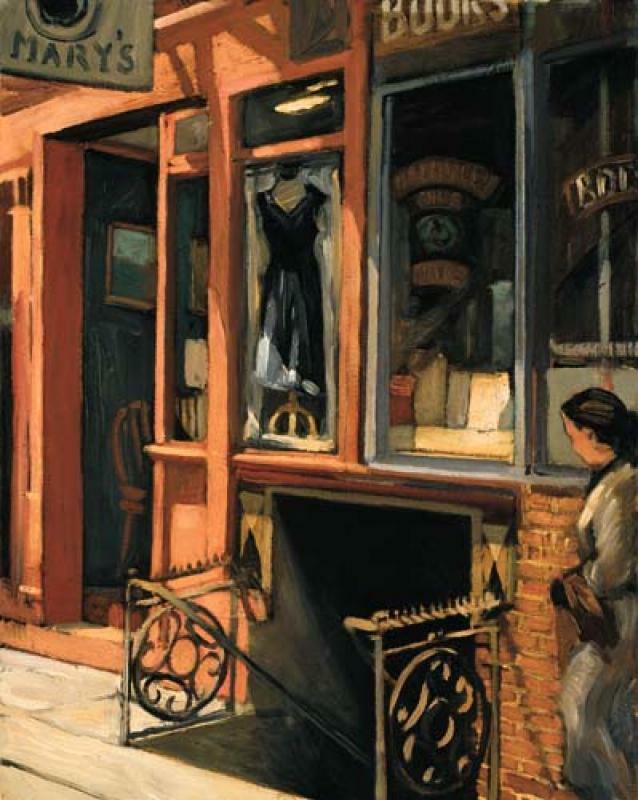 If you use the link it will take you to more of Sally's work and you can judge for yourself. There are definitely 'ashcan' elements as well.